As coups go, Japan has really not experienced that many in the last four hundred or so years. Even the civil war of 1868 was more about who would represent the Emperor than replacing the Emperor himself. Post WWII politics has seen many internal late night dealings and sudden replacement of the Prime Minister, nominally the appointee in control of the nation, but in reality few have actually wielded real power in the last thirty years. Indeed, in this period there have been eighteen occupants of the chief's top chair, two of whom held on to power for ten years between them so the remainder, on average, managed a rather disappointing fifteen months apiece. Why have a coup? Like the weather in Wales, wait half an hour it'll change anyway. However one man simply couldn't wait for this to happen. 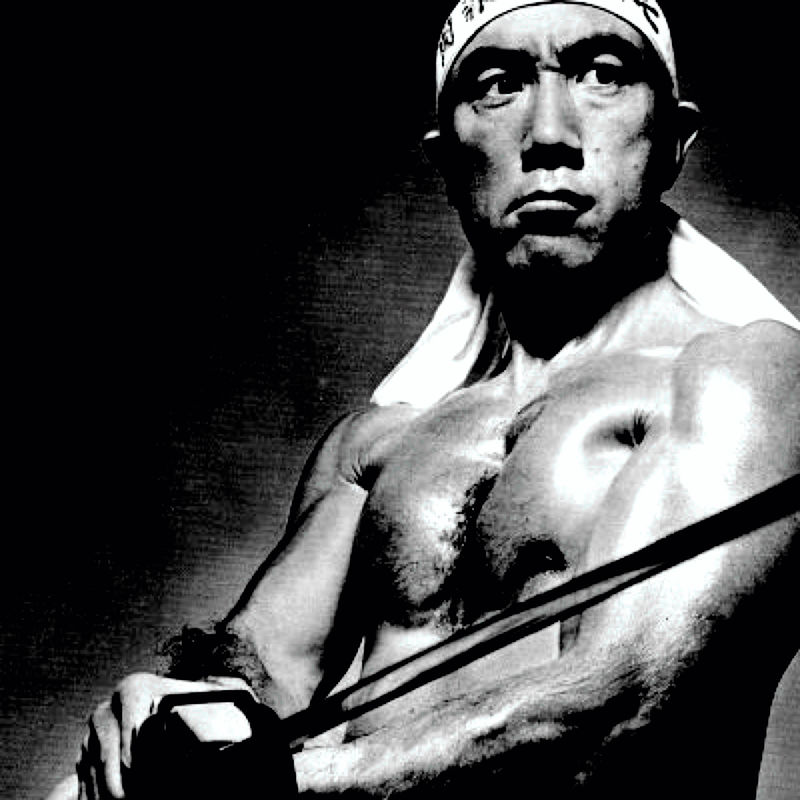 Yukio Mishima became internationally famous as one of Japan's most influential post war novelists. Three times nominated for the Nobel Prize for Literature, his radical right wings views were to rule him out in later life. In the 1950's he briefly courted Michiko Shoda, the daughter of a wealthy industrialist, later more widely known as Empress Michiko following her marriage in 1959 to Crown Prince Akihito, today Emperor of Japan. Mishima's work itself was prolific, including three dozen novels and more than four dozen plays. He also found time as an actor, director and, ultimately, founder of a private army, the Tatenokai, devoted to the restoration of the conceptual God-Emperor of old. On 25 November, 1970, the day he handed the final manuscript of the closing chapters of The Decay of the Angel to his translator, he travelled with four members of the Tatenokai to the army's Ichigaya Barracks in central Tokyo. Overpowering the commander, he stepped out onto the balcony and delivered a speech to the servicemen below, exhorting the belief that they must rise up in a coup d'etat to overthrow the corrupt political establishment of the day and return the Emperor to the very centre of political power. The gathering crowd below laughed. And then they jeered. Unsurprised and unfazed by their response, stepping back inside he knelt and committed seppuku, the ritual suicide of the samurai of old. At 45, Mishima was dead. The power of democracy in Japan being witnessed by but a handful of somewhat surprised and a little confused, Self Defence Force recruits.